Amethyst Group is a third party logistics provider offering warehousing and distribution services to help companies succeed. For first time outsourcers we make logistics costs variable for clients freeing them from the limitations of fixed cost warehousing or labour. Experienced outsourcers will find our flexible, professional approach can save time and money. In both cases, our people rapidly become the client’s fulfilment team which releases management time to concentrate on core aspects of their business. With the recent acquisition of PNC Global Logistics, we now have a division to provide freight forwarding. This allows Amethyst and PNC to jointly provide a full end-to-end solution from manufacturer to the final mile delivery for B2B/B2C/D2C customers. A one stop solution using our expert knowhow, system traceability and full visibility throughout the entire supply chain. 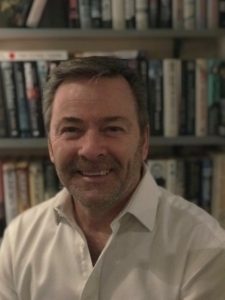 Amethyst is a specialist warehousing and distribution business offering a range of 3PL services to manufacturers, wholesalers and distributors, retailers and online clients. We understand that each industry has its own specific needs and that understanding those needs is the key to providing clients with great service. Find out about the sectors we work with. We continually invest in our assets, capabilities, skills and expertise to ensure our clients enjoy a competitive advantage. Read how we have helped various sized businesses grow . Smash manufacture functional and innovative food and drink storage containers. For the lastest video of our new super-hub click here. 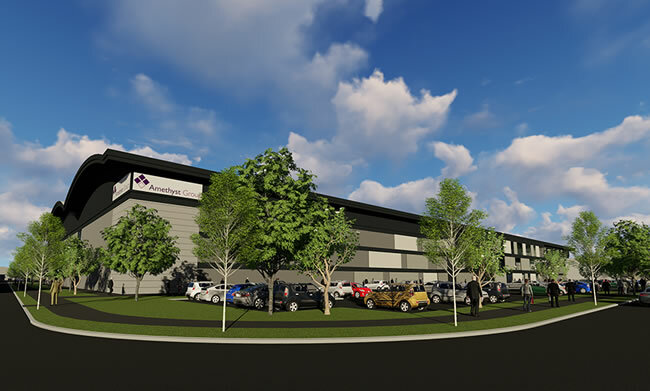 Amethyst Group Ltd is pleased to announce the design and build of our new Super-Hub, a premium addition to our existing portfolio of warehouses. Ideally located in central Warwickshire it is within close proximity to motorway networks, major parcel carrier hubs and the “Golden Triangle”. The Super-Hub is a multi-million pound investment that will encompass over 40,000 pallet positions, a three tier Mezzanine and state of the art systems. This will further strengthen our status as a leading 3PL provider in B2B, B2C and D2C fulfilment within the Toy, Nursery, Consumer and Fashion sectors. Amethyst Group believes in establishing strong working relationships with our customers and within the retail and consumer markets by delivering exceptional levels of service. Our Super-Hub is due to be operational for spring/summer 2017.